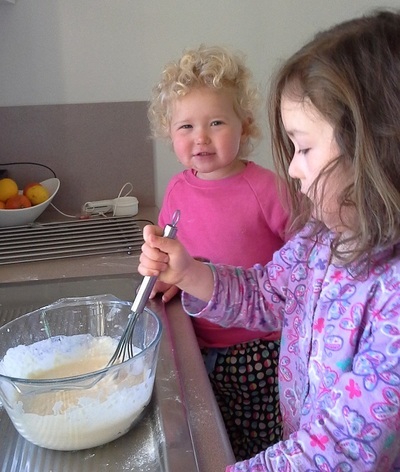 Cooking is a skill that we all need to learn and for young children it can be a fun activity as well. 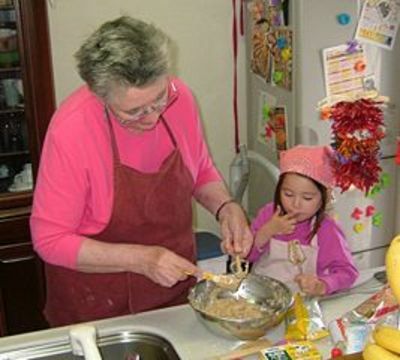 It’s not always easy to find a dish that young children can confidently create on their own. Letting them measure or stir is great, but the more of the process they can be involved in, the better understanding they will have and the greater their sense of accomplishment. There are a number of things that even a young child can make, many of which require no cooking, so you can rule out the worry of them using a stove. The key to making it pleasurable is to start simple and slowly increase their involvement over time. -	Start with a clear work area and a clean sink. -	Wash hands, roll up sleeves and put on an apron or something that can handle a few splashes and stains. -	Don’t leave them alone, especially with sharp utensils or hot stoves. -	Keep the recipe as simple as possible and suitable to their age. -	Don’t force them to stay. Children have short attention spans and may lose interest. Let them go. -	For a first-timer, pre-measure the ingredients and have them lined up in order. -	Use a larger bowl than necessary to avoid a spill-over when stirring. 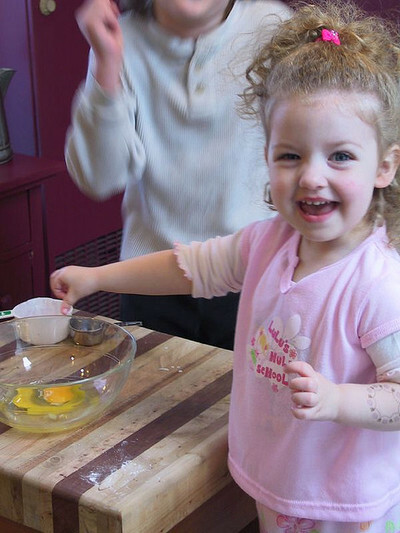 -	If the recipe requires eggs, let them practice breaking an egg into a cup first. The most important thing we can do is to make the experience fun. I’m sure that our first attempts at cooking were not perfect but with practice we improved. With a little patience and a lot of wet-wipes, we can survive the ordeal and your child will gain a sense of accomplishment and a love of cooking that will hopefully stay with them for life.